Born Jacob Finkelstein in Chicago, IL on February 9, 1908. 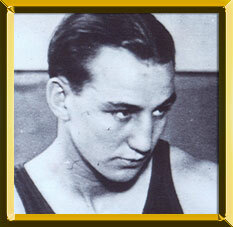 Fields began his amateur career in Los Angeles in the early 1920s and, at the age of 16, won the featherweight gold medal at the 1924 Olympic Games in Paris. He turned pro in 1924 and in late 1925 Hall of Famer Jimmy McLarnin kayoed him, the only time in his career he was stopped. Fields also engaged in two bouts with Hall of Fame lightweight champion Sammy Mandell (ND12, L10) in 1927 and 1928 respectively. Victories over King Tut, Mushy Callahan, Vince Dundee, Jack Zivic and Young Jack Thompson positioned Fields for a shot at the vacant NBA welterweight title on March 25, 1929 against Thompson. Fields captured the title via 10-round decision and then defeated Joe Dundee (WF2) to win universal recognition as welterweight champion. Wins over Vince Dundee (W10), Gorilla Jones (W10) and a loss to Young Corbett III in a non-title bout (L10) followed before losing his title to Thompson in 1930 (L15). He bounced back to regain the diadem with a 10-round win over Lou Brouillard on January 28, 1932. He lost the title to Young Corbett III (L10) the next year and retired following a 10-round win over Young Peter Jackson. Fields amazingly fought his last several bouts with vision in only one eye, having previously suffered from a detached retina in an automobile accident. Widely regarded as scientific boxer with tremendous stamina and a solid punch, Fields' record stands at 72-9-2, 2ND, 1NC (30KOs). Fields died June 3, 1987 in Los Angeles.